Unpaid carers to people with terminal cancer provide health and social care worth £219 million each year. This accounts for one third of the cost of end-of-life care for people with breast, lung, colorectal and prostate cancers, according to researchers at University College London (UCL). The study, funded by the charity Marie Curie and published in the journal Palliative Medicine, is the first to consider the equivalent costs of unpaid carers alongside both health and social care expenditure. 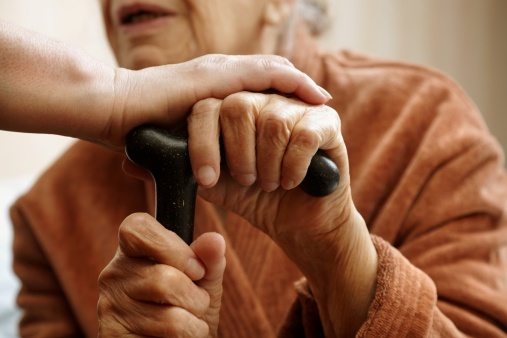 The researchers at the Marie Curie Palliative Care Research Department (MCPCRD) predict that with an ageing population, we will see more people with a care need in the years to come but fewer unpaid carers able to meet that need. They conclude that this will result in a greater demand for state funded end of life care and could lead to more people with a care need missing out. Scott Sinclair, Head of Policy and Public Affairs in England, at Marie Curie said: “We know the emotional burden of caring for someone with a terminal illness is significant. It’s deeply concerning to think about how the government would fill the £219 million gap left by this group of carers if they had to procure the services they provide to their loved ones. This is a very real problem. Currently, 110,000 people a year don’t get the care they need at the end of life. With fewer carers, the government must ensure high-quality end-of-life care is available to all - in homes, care homes, hospitals and hospices. The research analysed the available data on four types of cancer (lung, breast, colorectal and prostate) in England and Wales. The total estimated cost (health care, social care and care from unpaid carers) for treating people with these four types of cancer at the end of life is £641 million. The cost of unpaid care takes into consideration the cost of replacing this care with formal providers. The researchers acknowledge the need for better data collection in this area to achieve a clearer picture of the cost of end of life care for all cancer types across the whole of the UK.